For you hard dance and hardstyle lovers in Los Angeles, Q-dance is bringing their sound to the Los Angeles Shrine Expo Hall this Saturday, March 8, and they&apos;ve got a solid group of DJs on the bill. Lady Faith, Frontliner, and Wildstylez are going to rip it up, and for you Wildstylez fans, we actually have a dope opportunity to hang with one of your favorite DJs... over tacos. That&apos;s right, we have an opportunity for one LA fan to meet up with Wildstylez near the Shrine Saturday evening and enjoy a meet-and-greet over tacos before the show, which they&apos;ll also get two tickets to (NOTE: the winner will have to get themselves to the Shrine at 6PM Saturday night) (Correction: you&apos;ll have to be at the Shrine at 4:30PM sharp). Not too many opportunities like this come up; this will even be documented so you can brag to your friends that you not only got to experience Q-dance, but you get to hang with one of the premier producers in the sound! How can you get in on this? 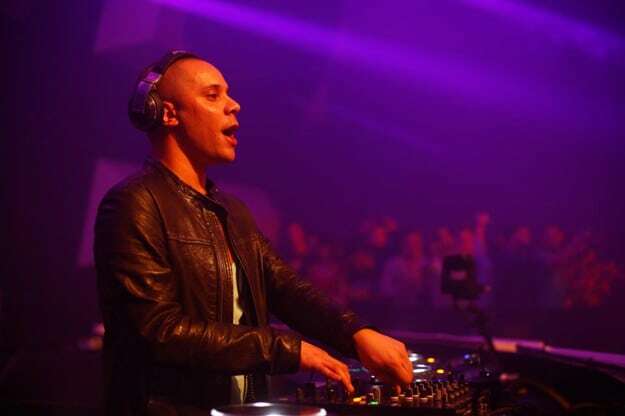 All you have to do is tell us in 100 words or less WHY you should get to have tacos with Wildstylez. Send an email to info@doandroidsdance.com, subject TACOS WITH WILDSTYLEZ, with your statement and first and last name. We will be accepting entries until 9AM EST on Friday, March 7, so get your entries in soon. And for more details (and getting tickets for) The Sound of Q-dance, hit up q-dance.com. And if you needed to see what happened last time, relive it.